Super friendly and helpful staff,calm and peaceful atmosphere,great location...I would recommend it to anybody. This hostel is more like a hotel, very beautiful and clean in a gorgeous old house. Clean comfy beds. The breakfast is probably one of the best hostel breakfasts I’ve had including hot food and pastries served in the gorgeous veranda style dining room. There is a bar and lounge area but it’s not the place to be if you’re looking for late nights and parties. Only negative is that the dorm bathrooms are slightly cramped and showers got flooded with a lot of use. Would recommend. 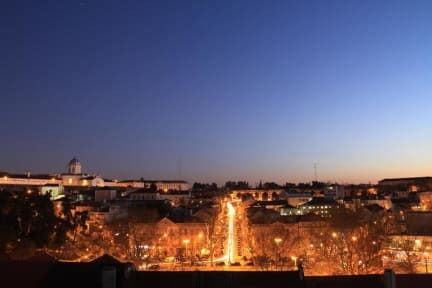 Great place to stay & explore Coimbra! Old, free-standing home converted to a modern hostel. Their own bar for afternoon toddies, a great breakfast selection! A bit of a hill climb (ask for instructions via email; IMAP takes you up an unnecessary steep hill if you are walking). Apx 1.5 miles from the bus station. Easy access to the university & old town. 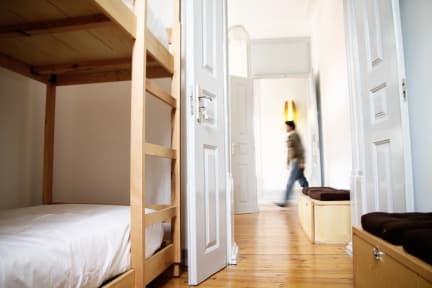 The hostel is nice if you are travelling with friends or family but as a solo traveler its difficult to find a social environment. I did meet some other solo travelers during my journey at the hostel but that might not be the case for everyone. The place in general is very good and is more like a hotel. The breakfast is great and maybe one of the best offered by any hostel that i stayed with. Its a 20 min walk from the station but was not a problem. So top for facilities and avg for ambience. hotel more like. but cheap. friendly staff. no atmosphere. More of an hotel than a hostel. Very cute dinning room, good breakfast, not noisy, near the old university campus. But absolutely no atmosphere, uncomfortable matress, and a few things to fix (locker in dorm did not lock, broken shower head holder, nothing to dry your hands in the washrooms). But overall, this place is ok!